As creators of photo and film lifestyle content for the superyacht industry we are always discussing with clients the stories they want to tell. Virtually all are stories about families, couples, and friends, enjoying the superyacht life - often without a bikini in sight. Recent industry conversations I have been part of seem to paint a different picture. Some say the stories we (as an industry) communicate focus too much on bikinis and people of unattainable beauty. They say this helps fuel a negative image and a barrier to entry by potential owners, charterers or brand partners. Sure some stories include people swimming and enjoying the spa but what do you expect - it’s a yacht, it’s in the sun, at sea and it has a pool so of course people will sunbathe and get wet, but this does not go hand in hand with a negative image. I think the real problem lies with the disconnect between the stories that are actually being created and the communication of them to potential markets. Bridging this gap often falls at the feet of those commissioning the film and photo shoots and most do a great job of spreading the right message. But it’s a mistake to think we can rely on this small group to do all the grunt work for the entire industry. So, to those who seem happy to do nothing but sit back and express frustration think about how you can help, even in a small way. Maybe look at co-productions, shared campaigns and other initiatives like Superyacht Life because there are already great stories being created, we just need to work together to make sure they are told to the right people. BRIEF: Create a film to support the launch of a new phase in the Moonen brand development. This new phase shifts their marketing focus towards the demographic defined by the ‘Modern Gentleman and Woman’. This target market is younger than their traditional market. CREATIVE STRATEGY: Traditionally, superyacht builders tend to focus their brand films on who they are, what they do, why they do it, their yachts, their people, their skills and how all of these benefit potential clients. In keeping with Moonen’s change of focus, away from their traditional market, we suggested a departure from the traditional superyacht builder brand film. Something that doesn’t focus on yachts and shipyards. With this in mind, the concept of family separation ending in the one perfect place – a Moonen yacht – came to mind. The separation would come to life through two different journeys. 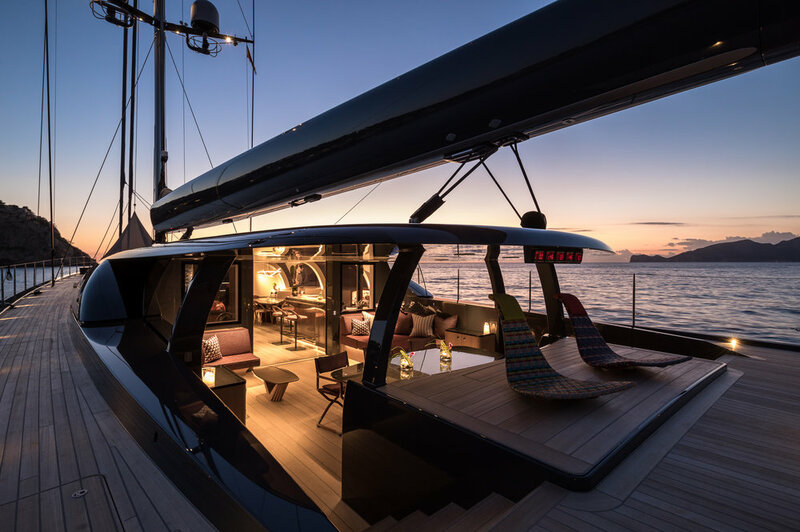 Each journey would allow Moonen to associate their brand with the target profiles – a successful, self-made couple with a keen sense of style who appreciate the qualities that come with a Dutch built yacht. A couple who value their time together as a family, above all else, and how their Moonen yacht simply fits the life they want. CHALLENGES: Like many projects, the creative idea sounded simple but, like many, the execution was not without its challenges – time, budget and resources were all stretched to the max on this one. For the idea to really work we needed two different starting locations, plus they needed to identify with the target market. We also wanted to use different forms of transport and brands to associate complementary brand values, and perceptions, to help illustrate the world Moonen yachts and their owners live in. 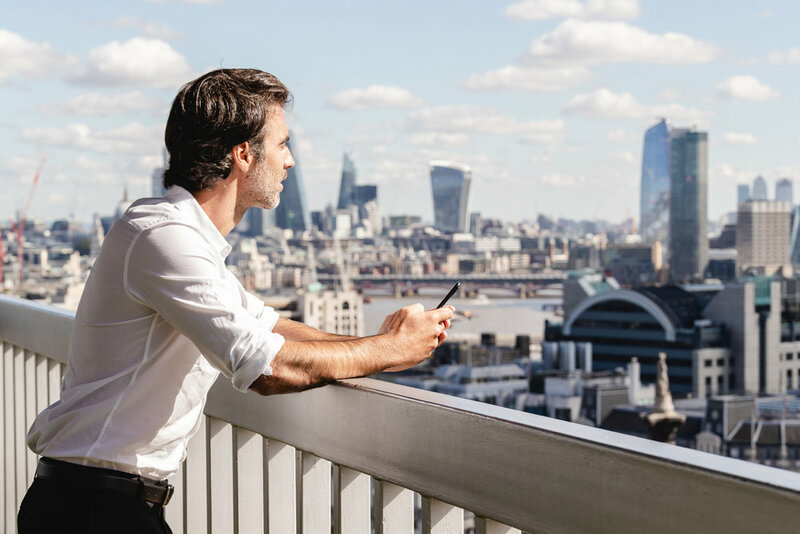 THE RESULT: London was selected as one starting point to illustrate the separated, busy and hectic life of a successful international businessman. A family villa in the French countryside was used to illustrate a quiet family base. The separation depicts the life of many in today’s world. The story develops to leave this life behind and to be together as a family, because this is more important, above all else. The journey ends showing how it’s their Moonen Yacht that is the one place in their life they choose for this special reunion. THE OUTCOME: A 2min 30sec film supported by two shorter versions for social media use and a collection of photo images to support the strategy. Tags: Superyacht, motoryacht, photography, film, aerial, drone, helicopter, lifestyle, models, story, strategy, social media film, discover, gold. 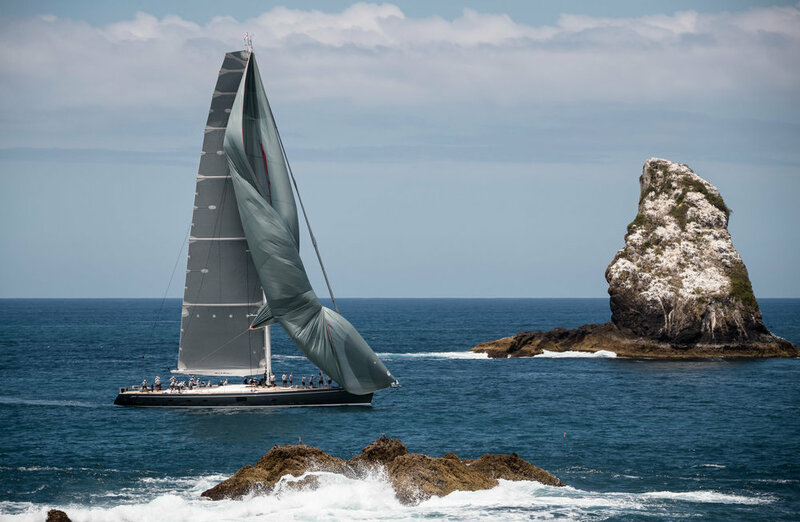 Ok, so this event may currently be the smallest superyacht regatta around but heck it definitely punches above its weight when it comes to relaxation, fun, and destination magic. 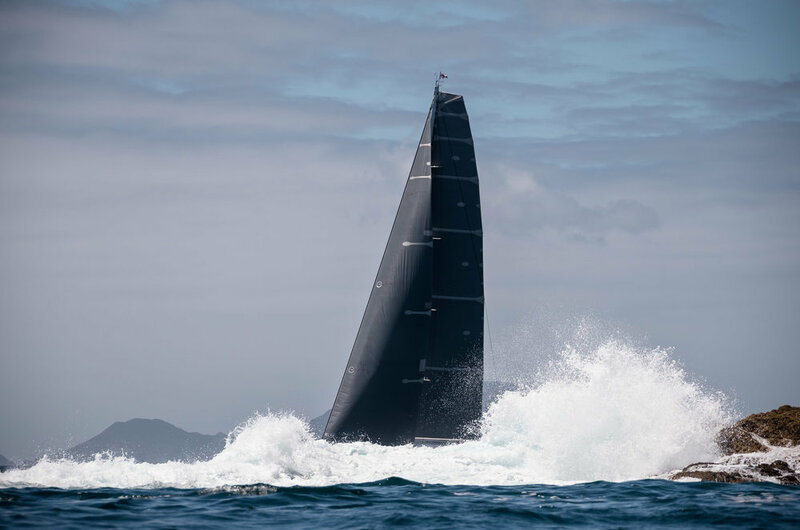 What’s more, with the America’s Cup, taking place in NZ early 2021, this regatta is going to be the one you have to be at. 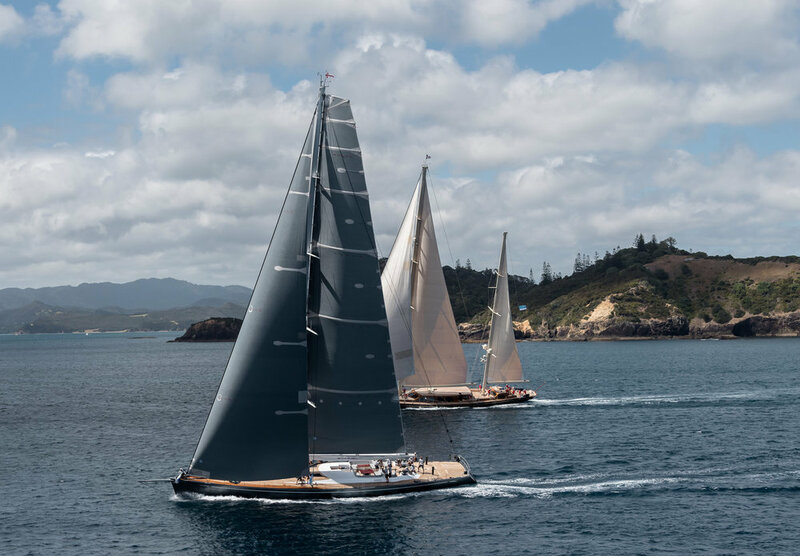 I guess coming from New Zealand we are little biased but, having also regularly been to every other superyacht regatta over the last 15 years, we have earned the right to an opinion. We cut our teeth at this regatta back in 2003 and have been shooting it ever since. Now as Silver Sponsors we continue to make this a permanent fixture in our shooting calendar. When it comes to shooting a regatta the greatest challenge, and yet also the greatest buzz, is how nothing can be planned. You have to roll with what’s in front of you, then use your wits, and your experience, to put yourself in the best possible position to get the perfect shot. Unlike brand shoots or yacht shoots there is no script or shoot list. Whether it’s from a helicopter, a rib, on-board or on land, you have to make it work and we love it. Enjoy this collection of images from earlier this year. If you would like any then check out our media bank at: www.breedmediabank.com/-/galleries/regatta/2019-millennium-cup where they are available with a 30% discount for a limited time. Virtually every project we do, photo or film, is based upon some sort of narrative around a yacht, a business or an experience. When creating a film, audience engagement is critical to its success. Success that is measured by the viewer receiving and understanding the desired message. This is where the art of storytelling comes in. Emotion: This is the biggie, the number one tool for success. Whether it’s a good cry or a side-splitting laugh, humans love and respond to emotion like nothing else. Just check out the most viewed videos on YouTube for proof. What’s more, we remember messages that include some emotion far more than those that don’t. Whether you want your audience to remember your brand, or your yacht, you simply can’t go past focusing on emotion in the story. This doesn’t mean you have to script a tear jerker, emotion can be depicted visually and, or, audibly. Slow motion, soundtrack, natural sounds, models laughing and interacting, as well as lighting, are just a few examples how emotion can be injected into the story. If we had to pick one of these as number one it would be the soundtrack which is why it deserves its own section. Soundtrack: The value of the soundtrack for a film should not be underestimated. The music helps take the viewer on an emotional journey and can set the pace and tone of the film. Music can add drama and anticipation to a film, it can also provide an element of surprise. The right music, linked to the visuals, keeps things moving and is an essential part of storytelling. The song dictates the flow of the film and the flow of the shots. Theme: A theme is developed for each film. This may come from us, the client, or may be something we work on together. Sometimes deciding the theme can be the most challenging aspect of the strategy because, not only must it be in synch with overall objectives, it needs to help the film stand out in the crowd so it’s remembered. The theme becomes the central driver for the creative strategy setting the tone for how we approach the whole film. Whether we bring in brand associations, the type of models we use, the locations, how we shoot the film and the genre of the music. Sometimes we try to add in a twist – family separated who want to be together, a birthday or an element of surprise – a female yacht owner arriving by motorbike. Models: The human touch or use of models, gives the audience a reference point for the story. Whether it is the owners of a design business talking about their business, three generations of family, or a single model on a yacht, the addition of people greatly enhances the story telling capability. The team have the flexibility to create different subplots, scenes and scenarios not otherwise possible. 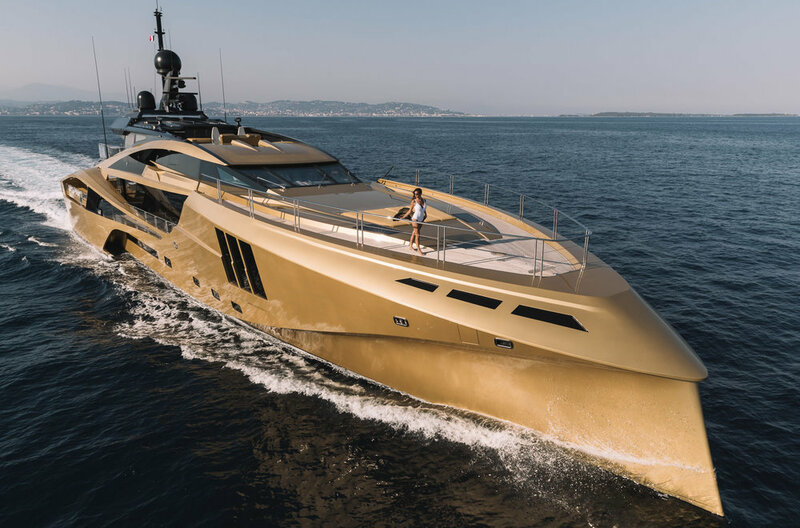 When it comes to specifically shooting a yacht film the use of models brings spaces and features to life, helping the audience picture themselves there. When the film is for a charter yacht this is especially useful. When it comes to a film or video for your business or yacht give some thought to the story, or narrative, you’d like to create around what you are selling. It is the story that captures the audience’s imagination and makes your product or service memorable. When you need help give us a call, we can make sure your film stands out. 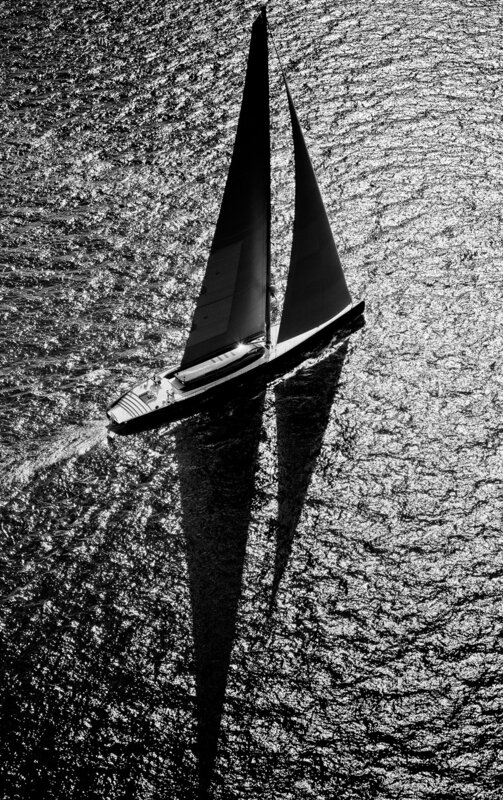 BRIEF: The owners brief was ‘Build me a Beast’, a high-performance sailing yacht. This was then skilfully interpreted by the designer, the late Ed Dubois, and the builder Royal Huisman. Sails and uniform were supplied by North Sails. The result is Ngoni not only makes a statement in looks, but also in performance. We needed to convey both of these attributes in the film and photos produced. CHALLENGE: Shooting for a number of clients we needed to find a balance with their individual requests and the reality of only being able to shoot the yacht once. Coming in at a length of 58m another of the challenges was to create a sense of scale and performance. 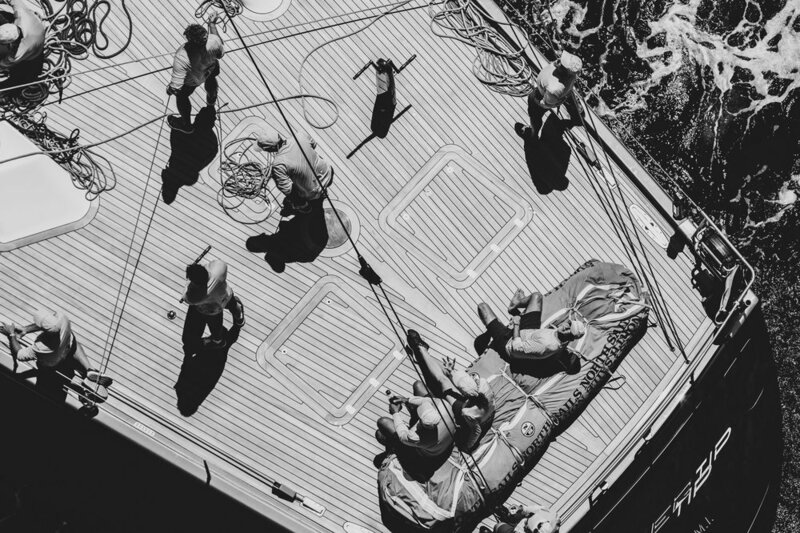 So, it was going to be important to include crew on deck while sailing at speed. 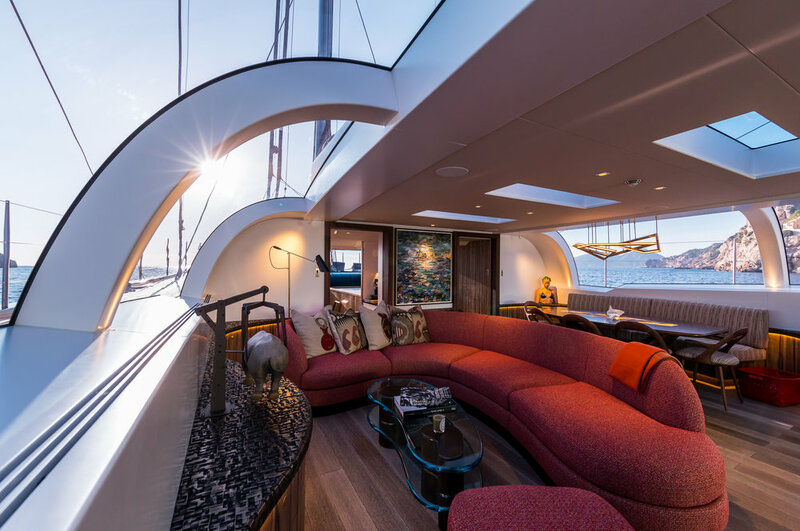 Photography: We captured the reflective surfaces in the hull, the symmetrical lines and glass of the superstructure to really showcase the ergonomic nature of the yacht. 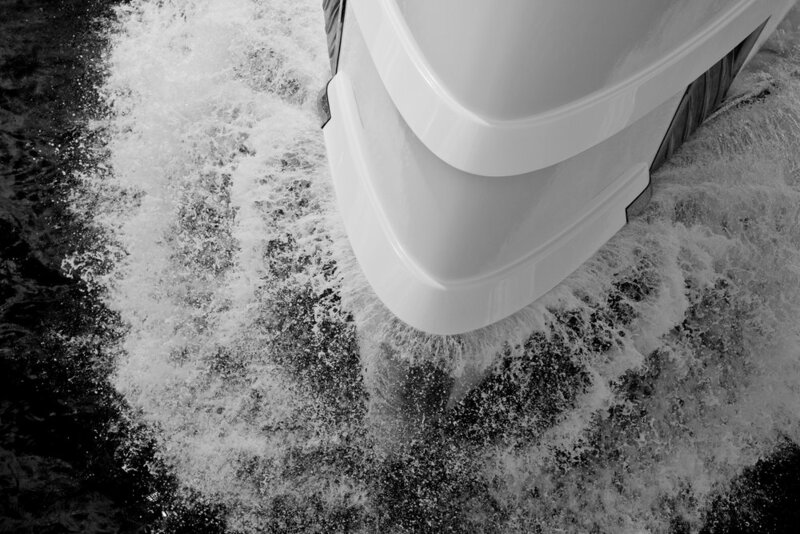 Film: We needed to create a contrast between a luxurious yacht and a sailing beast. To do this the film begins by approaching the yacht in the calm of early morning and takes the viewer on a relaxed journey through the yacht. We then make a fast-paced transition across the water to the yacht under sail in all her glory. When the yacht is in full frame the crew come in to shot and the viewer gets a sense of her magnificence. A highlight being when a crew member scales the 71m mast to stand on the top creating a real sense that this yacht is not for the faint hearted. OUTCOME: 550+photos, 1 Yacht film and edits including 2 social films and one for awards. 20+ articles have been published using the photos, including Robb Report, Elite Traveller and Forbes.com. 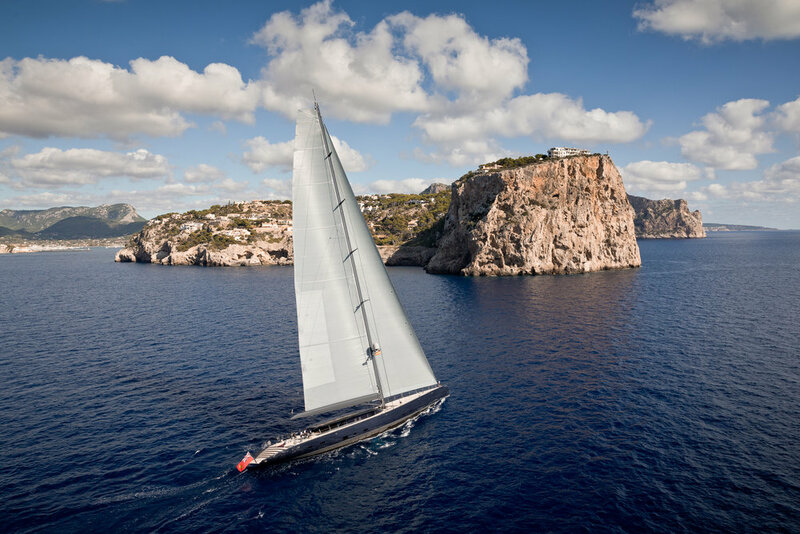 SPECIAL NOTE: Although the sailing yacht market has retracted in recent years, photos and films of sailing yachts generate a disproportionate amount of interest. Our work for Ngoni was no exception with the films achieving more than 100,000 views. BRIEF: To photograph and film the yacht Home for Heesen Yachts highlighting the near-silence owners can enjoy onboard when underway. Home has the capacity to sail in different modes. One is hybrid mode. For this power is derived purely from the yachts’ e-motors and generators. Hybrid Mode is beautifully silent, with maximum noise levels in the owner’s stateroom reaching just 46 dB(A) – the sound of softly falling rain. a. Finding out two days before the shoot the yacht would only be able to leave the dock once and only stay out long enough to complete the aerials. b. Coming up with a new creative strategy within two days that still met the brief. CREATIVE STRATEGY: Sitting in a local coffee hangout we had a brain storm with the client about how to work with the new challenges we faced. We found out that the client had a connection to a local Ducati motorcycle rider and the whole concept grew from that single spark. What was even better, the rider was a woman. This presented us with an opportunity to show a strong, independent woman in control of her life as a superyacht owner. We would follow her journey from a helicopter to a motorbike, through the city to the yacht. The idea being to show the contrast between the hustle and bustle of the city and the silence of the yacht. 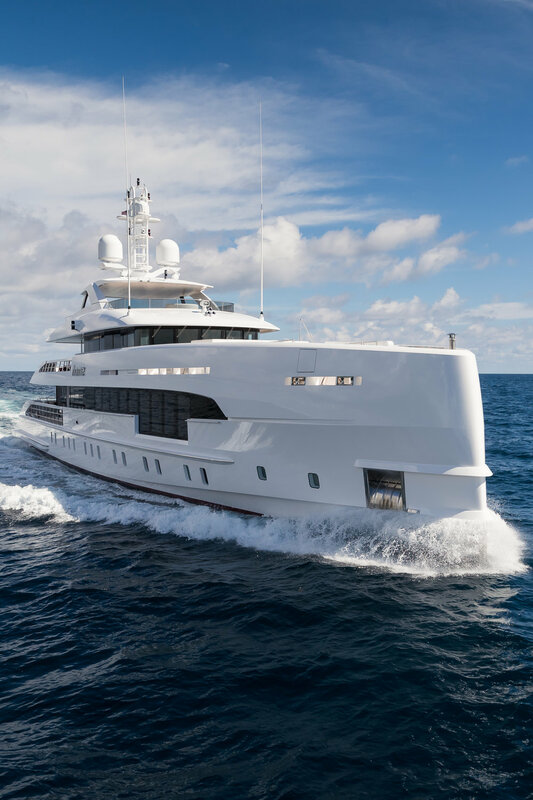 When she steps aboard she transitions to a life filled with a calmness and tranquillity only possible on her Heesen. The soundtrack was a key component of this film. We worked to record and add city noises into the beginning of the film – the sound of the helicopter, motorbikes, cars and sirens of the city. Once the woman is on board the yacht and the doors close behind her the soundtrack transitions from rock music and sounds of the city to classical music and natural sounds of the water and birds. Every year excitement mounts in preparation of events celebrating superyachts for their design, form and function. Prior to the big announcements, judges have poured over numerous submissions trying to decipher what makes one yacht extra special compared to others. Some of the judges can call on their first-hand knowledge gained from when they viewed the yacht at a show, at its home port or when they made a special visit to a remote location. Make no mistake these judges take their role very seriously, we know of at least one who spent in excess of $250,000 per annum making sure he saw them all. But for some, visiting every shortlisted yacht can be prove a logistical challenge. If a judge has not personally been onboard, they must rely on feedback from those who have and what has been supplied by the entrant - photos, video and text. Not surprisingly the ones we have spoken to agree it’s difficult to make decisions if the media supplied doesn’t convey the true sense of the yacht. Whether it’s the composition, the sense of space and light, the colours or details, the images and videos need to make the judges feel as if they are virtually on board. Investment in the very best photography and film is therefore critical and could simply make or break a yacht's chance of success. With 15 years of shooting superyachts behind us, and first-hand experience of many award events, we able to to ensure all photos and films supplied truly reflect the uniqueness and quality of every entry. However, regardless of how well we capture the yacht, it can all count for nothing if the submission misses the deadline. We are constantly amazed at how every year there is a mad panic for photos and film specifically for awards. Surely it comes as no surprise to entrants that they have entered a competition with entry deadlines! So why then do they jeopardise their chances of success with last minute pleas to produce content? Our experience has been that the most prestigious competitions have the strictest rules and deadlines to make sure judges have the time to give every entrant equal and fair consideration. Organisers tell us that late arrivals are likely dismissed entirely rather than risk being reviewed hastily and incorrectly. Take it from us, multiple last minute pleas for images creates one huge deadline challenge; a challenge that one day could be impossible to overcome, resulting in to a disaster for all. So, if you are thinking of entering a yacht in an awards competition invest in the very best media, and allow plenty of time to get it produced prior to the deadline. BRIEF: To create a film that clearly communicated the culture and ethos of Bannenberg & Rowell. The film was to be something they could use as part of the pitch process. ‘Human and humour’ were the words they gave us - the shortest brief we have ever received. 1) The main challenge lay in finding a style of filming that matched the personality of the business and complimented Dickie and Simon’s words. They are so eloquent that it was not difficult to get the right words out of them (although sometimes it was difficult getting short answers :-)). 2) There was also the challenge of balance. The film needed to communicate the heritage of the company and the fantastic foundation created by the late Jon Bannenberg balanced with how the company has evolved under the leadership of Dickie and Simon. 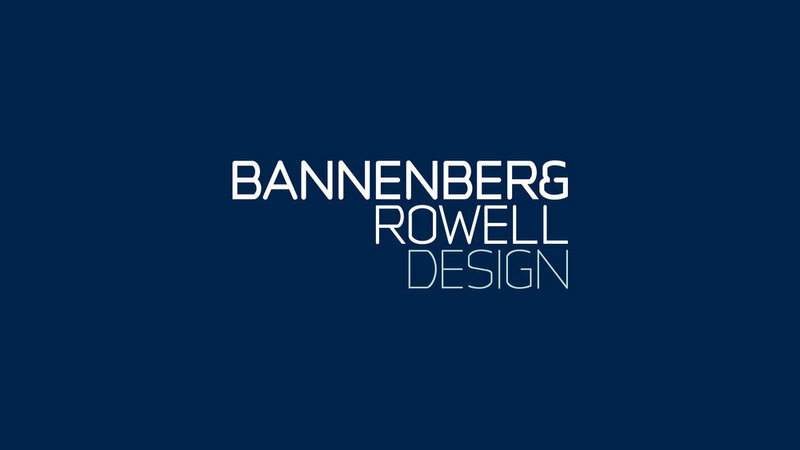 CREATIVE STRATEGY: We began by writing an interview that would shape the film and communicate some of the DNA of Bannenberg & Rowell. Then we employed a style of filming that consisted of many handheld shots, some shifting focus, together with abstract shots to deliver a personal touch and communicate the studio’s creativity in a visual way. We also selected an edgy backing soundtrack to match and enhance the visuals. At the start of the film we incorporated some old footage with a voice over by Jon Bannenberg, supplied by Dickie, to give a sense of the heritage of this studio. We then very quickly turned the focus to Simon, Dickie and the culture of the studio today. OUTCOME: A 2.5 minute film that Bannenberg & Rowell have been using privately to promote their studio. FEEDBACK FROM CLIENT: "We love the film the Breed guys made for us (apart from hearing the sound of our own voices). We were very keen to avoid corporate stuff and / or fake shots of people earnestly studying drawings and samples which can often be a default with these videos. Breed avoided all these traps and have made us something we are happy to show our clients." Dickie Bannenberg. For as long as we can remember we have received regular requests for our photo and film content. In the content hungry world we now live in these requests have grown exponentially. Manually searching our archives for the perfect image was taking a huge amount of time and making the whole process painful for us and the client. So along came the media bank, which brings everything together in one place and gives our clients the power to search for images at their convenience. Then once they have found what they are looking for they can simply purchase and download directly from the site. The goal was simple: create one location for the very best photo and film media relating to superyacht and luxury lifestyles. Our hope is that by doing so it helps others grow their own business. But achieving this is not without its challenges. The first one being working our way through 15 years of photo and film media that we needed to filter and seek permission to use where needed. There is so much content that we decided to make adding film the second stage of the project. The second challenge is to ensure we keep adding new content that people want. So, wherever and whenever we can we look for new subjects and scenes to add. To help with this we re-invest income from the site to fund new shoots, we partner with a few key contributors and above all we listen to what people want. With over 14,000 photos now on the site, soon to be followed by a large amount of film content, we hope you will agree that we are on our way to achieving our goal. Get 50% off Breed Media Bank stock photos for a limited time. Use the promo code 502018 at checkout. Offer valid until 30 September 2018. To make the most of stock photos it helps to understand the difference between the two main licensing options: Rights Managed (RM) and Royalty Free (RF). The Breed Media Bank, and most stock photo libraries, supply their images with one of these two licenses. These licensing options each have their own benefits and work differently from each other. Photos are licensed because you are buying the right to use the photo – not the photo itself. The photographer who created the photo is still the owner of the photo. The copyright is always with the person who created the photo. A Royalty Free licenses places very few restrictions on the use of an image. It allows multiple and unlimited use of an image and is not exclusive. The purchaser pays a one time fee for the license and can then make perpetual use of the image in all the permitted ways. So, the licensed image can then be used freely for your marketing material, website, brochures, PDF’s etc. These images are generally called royalty-free Because royalty free images are not sold exclusively an unlimited number of licenses can be sold for the same photo. Images sold under RF are usually priced low and at a flat fee, they can also be distributed across stock photo agencies. This means the image license may be purchased by multiple people in different companies and brands who can all use the image at the same time in different ways. The image is licensed because you are buying the right to use the image in multiple ways for a one-time flat fee. So, you pay for the licence once but can use the image forever within accepted ways. The rights managed license outlines how, when and where the image can be used this assures the purchaser of the image a level of exclusivity. When purchasing a rights managed license there could be specific time and geographical limitations as well as specific and per-use rights. The license only covers the consigned use, to use the image in another way a new license is needed. The price for a license varies according to its intended use. Depending on the photo the price can vary significantly. For RM photos there is a more detailed buying process. Because of the custom, set, specific rights a buyer acquires over a RM image they are generally less widely available, and you are less likely to see duplicates in use simultaneously. Rights managed photography can provide a level of protection to the image purchaser. The seller of the photograph, when made aware of the intended use of the image, can alert the buyer to any possible conflicts in image use. The arena of brand confusion can be bypassed by using rights managed licensing. If you can be clear on where you want to use photos sometimes it can be more cost effective to purchase the rights managed photo for a specific use rather than paying more for a royalty free image which you end up only using once. Those who embark on superyacht photo and film shoots will find themselves evaluating the use of models. Here we look at the top five benefits. 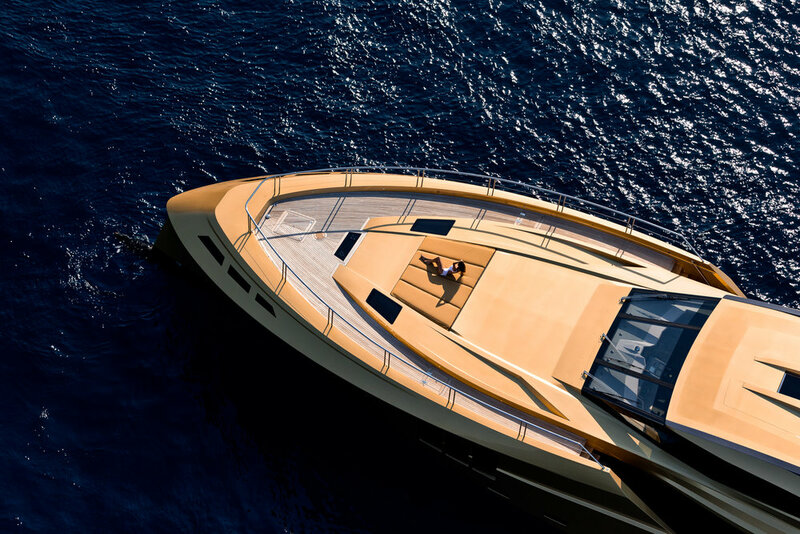 Thanks to their design and craftmanship, film and photography of a superyacht is impressive even without models. But, when you add models you not only capture the beauty of the yacht you also bring it to life. A life the viewer can begin to see themselves as part of. What’s more, if the models have been carefully selected to identify with the target market demographics then the viewer begins to engage their imagination even more and starts to live the experience. This engagement can be a powerful tool in helping achieve your marketing goals. You are selling both a beautifully designed yacht, and also the lifestyle. Both of these elements affect the purchasing decision. By adding models to a shoot, you are combining each element and appealing to the audience on multiple levels, this delivers a much stronger value proposition to your target market. Models also allow you to capture the attention of a wider audience. Some audiences are more captivated by the yacht design, some by the lifestyle and some by both. Good quality superyacht photo and film content are always in high demand by the media especially by the ‘all you can eat’social media channels. Lifestyle images and film featuring professional models will increase your chances of being featured because the content appeals to a wider audience. 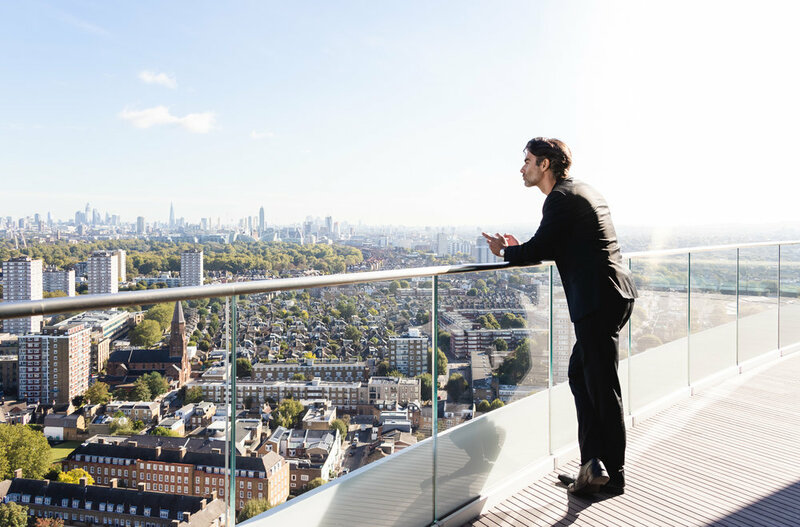 Perhaps more importantly, it provides you opportunities to gain exposure to new markets via luxury lifestyle media and social channels with their millions of followers. You can also benefit from exposure by suppliers. organisations and trade events who often require media with models to promote both their product and the superyacht lifestyle. Many such companies will ask permission to use your media content for this purpose and credit you as well. This again increases the promotion of your brand. The use of models always engages an emotional response from the audience. We are emotional beings and use both rational and emotional thinking during the purchase decision making process. 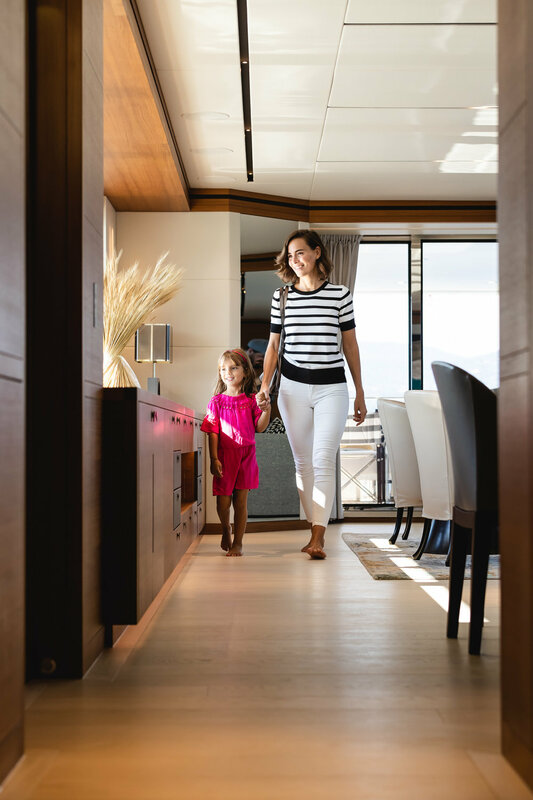 The superyacht purchase or charter is especially driven by emotion so the more you connect with your market on an emotional level the higher the chance they will contact you. The use of models can go further than simply bringing life to a yacht and brand. It can also create the opportunity for storytelling. Storytelling has become one of the most effective way to cut through the marketing clutter, communicate you brand story and differentiate yourself from your competitors. When your brand story is about people and the way your brand and product deliver what they are looking for, then the use of models will introduce a strong engaging element that strengthens the message through human connection. 1. What is the aim of the content you are creating and does the use of models benefit the overall goal of this marketing material? 2. Is the use of models likely to bring a significant, and therefore justifiable, return on investment? We hope the above benefits help you to answer these questions. Here are a few elements worth considering for those who may have limited experience with film projects. The biggest gift you can give to a production team is a solid brief. You can work with them to develop one if you need guidance. As long as the brief is set before production starts you give yourself the best opportunity to get the film that you would like, at the budget you would like. Employ the right team for the job. Check their previous work, especially the work they have produced to a similar budget as yours. Most importantly, make sure the team understand your industry and your audience, so they can fully grasp the strategy and outputs required to achieve the desired results. If you simply employ a camera operator, you may have a lovely looking film, but it may not speak to your audience, which will reduce your return on investment. From pre-production through to post-production, you are a valuable film team member and need to act like one. The production team will require your assistance throughout the process, including the prompt supply of resources such as logos, on location insight and prompt/thorough feedback during post production. Delays in any part of this can increase the cost. Big decision such as whether to incorporate models need solid consideration. You may be instantly put off by the cost, but when you evaluate the benefits, especially the return on investment, then you put yourself in the best position to make a decision that fits your desired goals. Some films may simply be educational and have less need to stand out, so set an appropriate budget for this. Generally, companies in the superyacht industry benefit from being bold. We operate in an increasingly clustered market with thousands of yachts that perform the majority of the same functions. Superiorly creative and bold film concepts will ensure you create more awareness than your competitors. More work on a creative strategy and dynamic film ideas can increase the budget but also deliver best investment return in both brand positioning and awareness. Our final piece of advice is to make sure you enjoy the process; film projects should be fun. We hope the above helps. We wish you the best for your future film projects and please don’t hesitate to call us if you think we can assist. Film is becoming the most effective way to engage with an audience. The big question all companies are asking is: how much should we spend on film? This is a difficult question to answer for companies who have never invested in this medium. Cost of film production varies dramatically. The below contains some insight into what drives production costs, as well as providing tips to achieve an effective and cost friendly film process. Time: A lot of time is taken up in preproduction, production and post production. Time is money in film production and the amount of time allowed for directly impacts the quality of the output. Team: There are many options for the production team selected as well as the models/actors. The level of professionalism is strongly linked the budget and the desired quality of output. Location: The more remote the shoot location, the higher the cost. Preproduction is all about taking the time to evaluate what you want to achieve and how best to achieve this. Taking time to evaluate the brand strategy and then develop a film concept that compliments this is invaluable. The creative strategy takes time but gives you the best chance to develop a concept that is unique and truly captivates your audience. Note: Different types of films require different levels of preproduction. Some need very little. 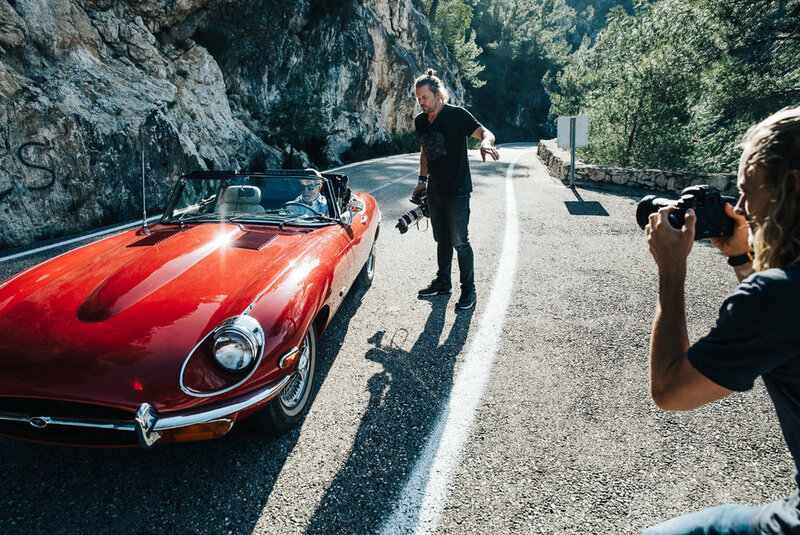 There are many elements to evaluate and organise for a superyacht shoot, including location, helicopter, models, styling, dressing of the yacht etc. Again, the more time you allow the better the final output. For example, allowing a good amount of time for location scouting means you will have the best areas and best shots possible for the film. Allowing an appropriate amount of days to shoot is very important. If you reduce the amount of days, you limit the amount that can be shot - it’s as simple as that. You also risk limiting the quality as there will be less time available for setting up each shot. Less shooting time often either requires reducing content expectations, increasing the size of the team or both. It is important to allow enough time for post-production of the media. The biggest opportunities for saving time come in the form of the initial brief and feedback. If a solid brief is provided as well as quick/collative feedback, then the postproduction is smooth and timely. An experienced film crew and experienced models/actors will significantly benefit the final output. Saving money on both of these will be reflected in your final outputs. The more professional the film team the more certainty and peace of mind you have regarding quality of output as well as making entire process easier. Professional teams come with the best equipment for the job, market knowledge and production experience to ensure a high-quality film that communicates the right message. Despite what some think, modelling/acting is not an easy business. It is well worth spending money on professional models to ensure you get the level of professionalism that will deliver high quality results with as few re-takes as possible. Generally speaking the further you travel, and more remote the location, the higher the cost. Beautiful, different and remote locations can increase the chance of a visually amazing film and will also help widen its audience, but that comes at cost. If aerials are needed, then the cost of the helicopter with an experienced pilot can be significant the more remote the location. The wrong helicopter and inexperienced pilots can limit what can be achieved. So, while remote locations are great and produce impressive backgrounds, they need to be evaluated carefully. BRIEF: To create a film showcasing the unique superyacht lifestyle for an owner or a charter guest. To concentrate less on the actual yacht, and emphasise that life aboard is fun and relaxing. A place where guests can chill out in a unique environment. CHALLENGE: The biggest challenge was to achieve the brief with only one model. We also wanted to move away from the often static use of a single person onboard. CREATIVE STRATEGY: To overcome the challenge we focused on two elements. One: the music. We chose a powerful track that is unconventional for this industry. It commands attention. Two: we had the model work with the camera as if she was looking at another guest, and enjoying the company. The viewers feel involved in the film, like they are present with her. This instantly helps engage the audience. OUTCOME: Film: A flirty and fun film that appeals to the lifestyle of being aboard a superyacht. For our client this film is a great success with over 100,000 views across four social media channels and the website within the first month. Photos: Over 300 lifestyle photos were produced for the client. These are being used throughout their communication strategy. Tags: Superyacht, motoryacht, photography, film, aerial, drone, helicopter, underwater, lifestyle, models, story, strategy, magazine cover, social media film, tender and toys, guitar, rock, water sports, explore, discover, go pro, canon, gold. BRIEF: The objective was to create video and photo content to help communicate the experience superyacht owners can enjoy while staying at the marina. To achieve this, we needed to show a couple experiencing the benefits of the marina’s location, guest amenities, and attractions. The results would be for use across digital, print and social media platforms. CHALLENGE: This marina has a plethora of amenities. There are 620 berths, a beach hotel, a boutique hotel and eight restaurants and bars. There is also a mall with 102 shops, a museum and gallery, nightclub, morning health clubs a gym and a spa. Not only that, there is a lot to do in the surrounding area. So, the challenge was how to incorporate so many locations and elements into one shoot. It required a huge amount of pre-production planning including model selection, storyline development, and developing a shoot sequence. Palmarina had many guests and staff at each location so we had to ensure that we only had the right people in the shot and did not disturb the guests. CREATIVE STRATEGY: We worked with the client to develop a story involving a romantic couple. The story was to showcase the marina’s resort lifestyle in an interesting and engaging way. There were so many elements to incorporate and we needed to be mindful of keeping the audience's attention. For this reason, we aimed to only give a taste of each location. The shots needed to convey the experience of Palmarina, be artistic and captivate the audience. OUTCOME: Film: The film shows three days in Palmarina condensed into four minutes. The film is ideal for web and reception use. We also produced numerous short films for their social strategy. Photos: The client received over 350 photos of the location and the couple enjoying the services provided. Drones VS Helicopters. Which one is best for a Superyacht shoot? 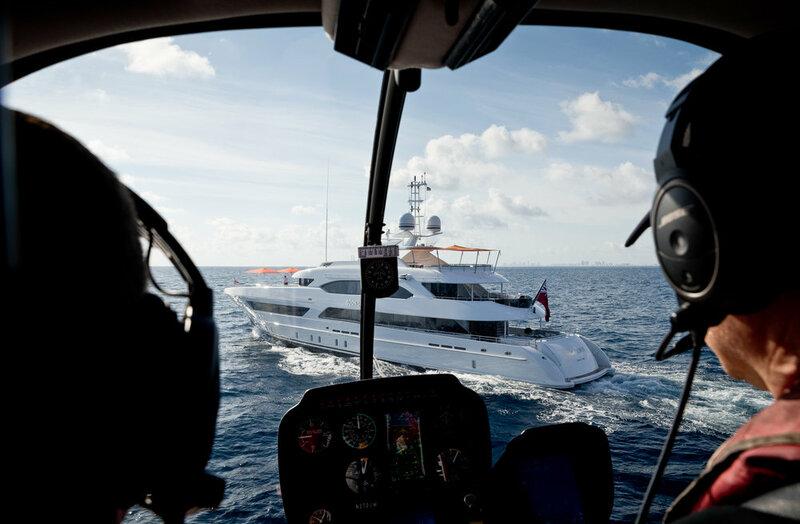 Each year our photographers and cameramen spend around 60 hours shooting superyachts from helicopters. Yet, we are often asked whether we can use a drone for aerial photography and filming instead. This can be for either budget or location reasons. So, we chose a few key factors relating to the photography and filming of superyachts and put the drone and helicopter head to head. Please note, the drone in this review is the most practical and portable model for our kit, the DJI Phantom 4Pro. It delivers exceptional results for the intended purpose. There are some drones capable of carrying large camera payloads. But, in our opinion, they are not the best choice for the work we do. Drones generally have 20-30 minutes of flying time and can only fly up to 400 feet, as per Civil Aviation Authority regulations. This means several battery changes for the flying time of an hour. That eats up valuable time and interrupts the flow of the shoot. The controlled range of a drone is another factor for the pilot to keep in mind. 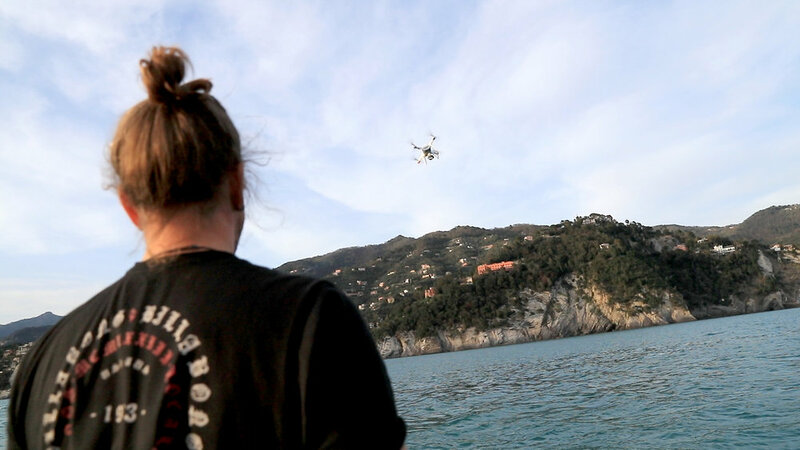 No one wants to lose a drone into the sea. The pilot must always be aware of the flight time and battery remaining. A typical helicopter will be able to fly for two and a half hours at 135 knots for 300-350 miles on one fuel tank. The flexibility of a helicopter for uninterrupted shooting, altitude, and composition, provides greater variety of photos for the client. A helicopters flight capacity also makes it far better suited for running shots. A drone has the ability to shoot video in 4k and 20 megapixel, but it is the size of the sensor that delivers the results. The bigger the sensor the more information you capture and the greater the quality. The type and quality of the camera lens is also a factor. The drones we use have a one-inch sensor and a fixed lens. Our preferred drone delivers excellent results for the final use of most of the photo and film we shoot. Like most things in life you expect more when you pay more. When you are flying in a helicopter with over £30k of camera equipment and lenses at your disposal, you get more. Here the sensor quality and size, image quality, sharpness, and details are all at the top of their game. Composition from a drone can be limited. The photographer can only really view the subject and surroundings via the drone’s screen. What’s more, our clients require both landscape and portrait photos. The drone can only shoot landscape. The view from inside a helicopter is panoramic. This allows the photographer, and others, to anticipate changes in the light and the scene. Our photographer will have a variety of lenses on hand. They will also have the capacity to shoot landscape and portrait images. This means the composition options are almost endless. The best conditions for flying a drone is when it is sunny with a moderate temperature and little or no wind. This ensures maximum drone control and range. As wind and heat increase the drone has to work harder, so the battery drains faster. It also becomes harder for the operator to line up the best shots in windy conditions. Unfortunately the environment we shoot in can be very changeable. This often places a limit on what we can achieve with a drone. Helicopters also have their weather-related limits, but these are more extreme. They can handle more wind and rain than a drone. In our experience, the weather has rarely stopped a helicopter taking to the sky. However, at times they do get buffeted around by the wind. The wind can also restrict the pilot's ability to manoeuvre as we need. Having a drone in the kit means that at short notice we can capture aerial photos and film. This allows us to take advantage of changes in the weather, light, and scene. The only limitation is that the use of drones is becoming increasingly regulated. We no longer take the drone to some countries. Using a helicopter requires some forward planning. Booking the slot, time to get to the pickup point, time to fly to the boat, and time to get back after landing if needed. This can add half a day for just an hour of shooting. This is really what it's all about - what gives you the best result for the money you invest? To measure the return you need to go back to the objectives of the shoot. Consider how important the results are to the goals for marketing your business or yacht. Then you have to consider how and where you need to use the media to achieve your goals. We believe, everything involved with marketing a superyacht has to be in keeping with the perception you want to create. A superyacht is the ultimate in everything. Therefore there should be no compromise in the media you use. So it's no surprise, for us the winner is the helicopter. But a drone is also a winner. It can be used for much more than aerial shots of a yacht. We use it on the yacht, in the yacht (try that in a helicopter), on the beach, on the streets. Anywhere we need to get extra creative angles. For us, that is when a drone comes into its own. Tune in next month for our feature: How your brands/yachts popularity can soar by placing people in photos.